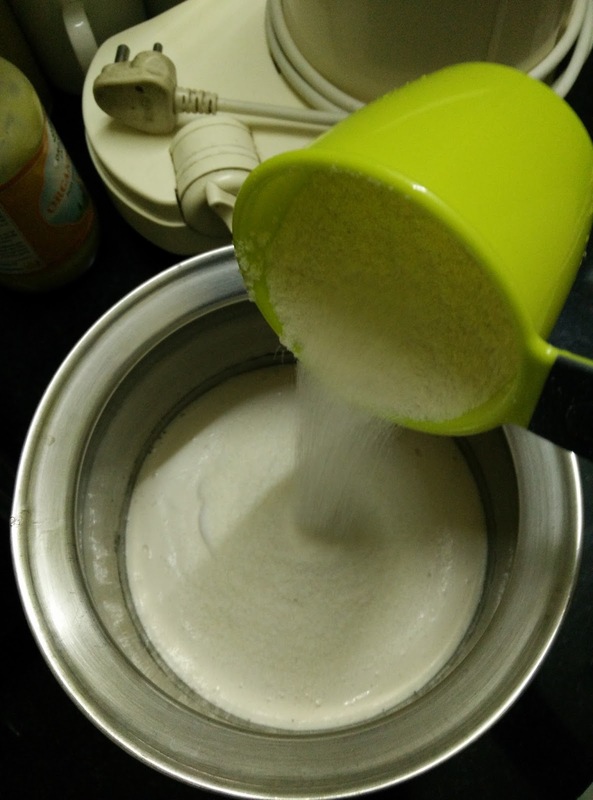 Welcome to Prameela's Kitchen: How to Prepare Easy Idli Batter Using Idli Rava In Mixer (Udupi Style)? 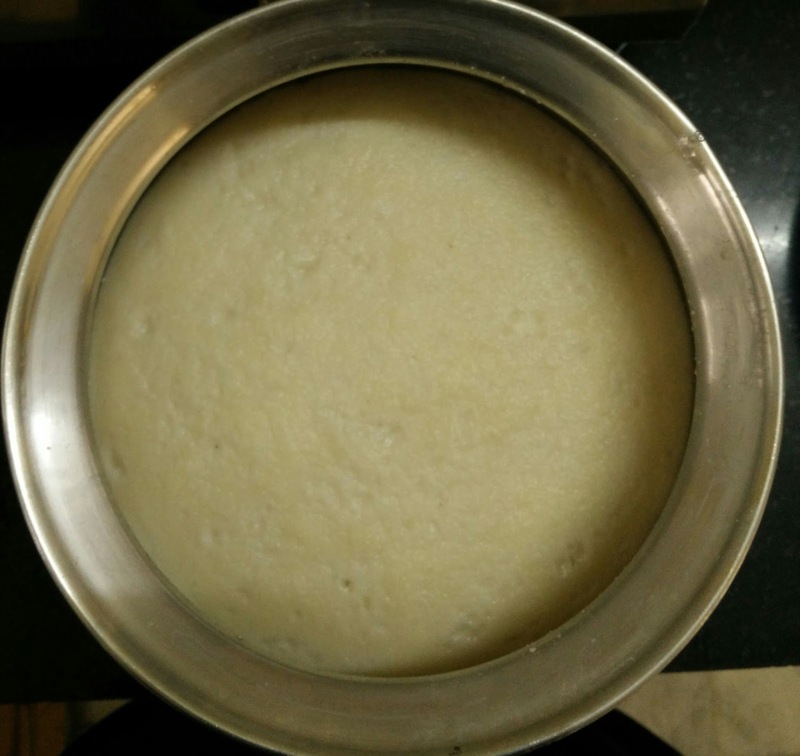 How to Prepare Easy Idli Batter Using Idli Rava In Mixer (Udupi Style)? 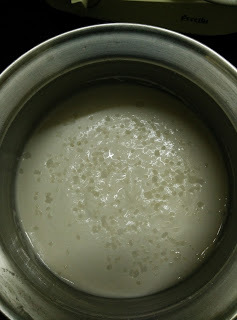 Idli is a most common breakfast in South India and it is prepared in many ways. Specially proportion of main ingredients urad dal(Indian lentil) and Rice varies. 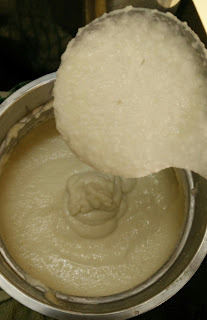 Today I will share easy way of preparing Udupi Style Idli Batter using Idli Rava ? This batter can be used to prepare Tumbler Idli, normal Idli and Mini Idli/Bullet Idli. Please check out the tips section for consistency and fermentation process of the batter. Wash and soak the urad dal for at least 4 -5 hours in water. 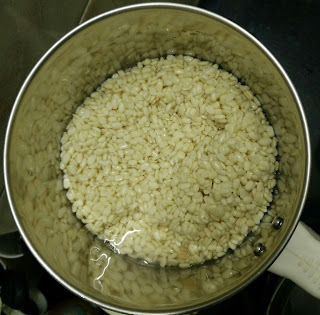 After 4 hours, drain the water and grind them into a fine paste in a mixer by adding 1/2 cup of water. Add little more water in regular intervals while grinding. Transfer the urad dal paste into a big bowl in which you are planning to ferment.Now add the Idli Rava to it and mix really well.Add salt on top and close the lid. 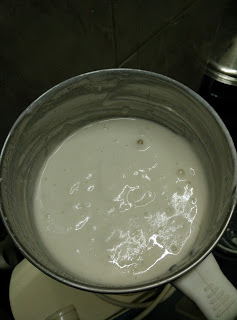 Let the batter ferment over night. Open the lid in the morning and mix really well so that all the salt gets combined evenly. (look at the pic below, Always use big bowl because it will come up little bit). Prepare Mini Idli/ Idli /Tambler Idli using this batter. 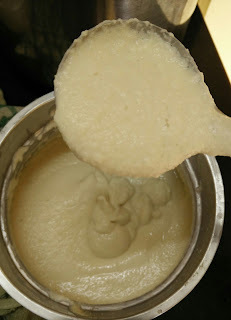 Belive me all tastes different though it is a same batter. 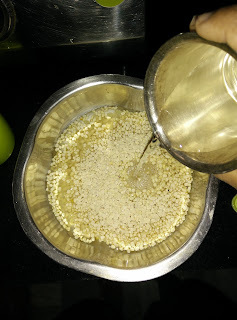 Grind the urad dal really well using enough water. Amount of water depends on the urad dal you use. If you feel the mixer jar is very hot.Take a break and grind again after it completely cools down. During winters(if room temp is less than 5 Degree C), Preheat the oven once and switch off to make it little warm inside.Keep the batter inside the warm oven. (Don't keep the batter inside the oven when it is too hot). I used to do the same during my stay in Germany. You can also keep the batter inside the empty cooker and close it.I used to do this when I was in Bangalore if the weather is good and cool. During winters, You can keep the batter near stove top when you are cooking. 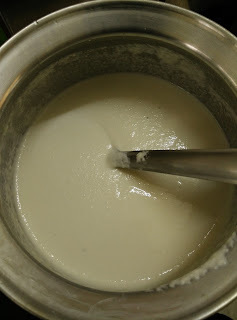 Always use a big bowl for fermentation to avoid batter coming out of bowl in the morning.